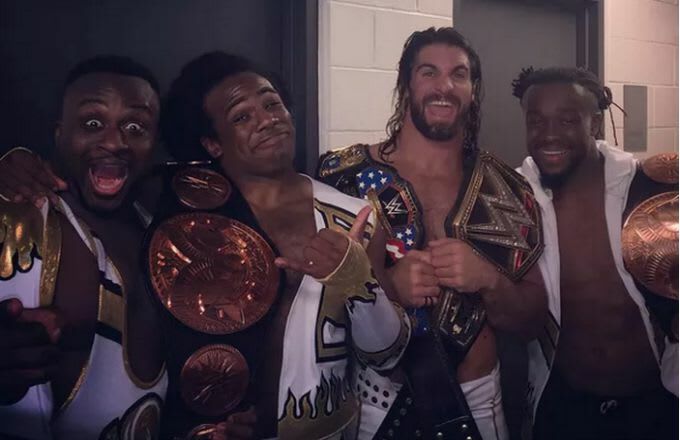 The New Day defeated The Prime Time Players, Los Matadores, and the Lucha Dragons to win the WWE Tag Team Championship at SummerSlam on Sunday, and posed for a celebratory photo with Seth Rollins afterward. Former WWE wrestler Virgil decided to use it as an opportunity for some free publicity, but it ended up blowing up in his face. Woods wasn&apos;t exactly buying whatever it was that Virgil was trying to sell.